Labrador rescue exists because there are irresponsible owners who buy Labs for selfish reasons such as to make their kids happy, they like the idea of owning a dog. These people have no idea how much responsibility, cost or commitment is required in order to care for a Labrador, and once they find out, the poor Lab is usually dumped on the doorstep of a rescue shelter. If you are interested in getting a Lab from a Labrador rescue, but know very little about these volunteer shelters, the answers provided to the common questions listed below will likely be able to help you decide if adopting a Lab is the right path for you. 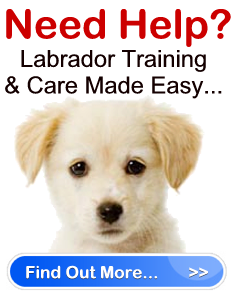 What is a Labrador Rescue? A rescue is a shelter that cares for abandoned, unwanted or abused Labradors. There are a variety of rescues all over the world both for Labs and different dog breeds. Those who work for a Lab rescue, volunteer, and are committed to improving the quality of life of the Labs they take in by providing them Vet care and love. The goal of a rescue is to find loving homes for every Lab they rescue. How can I locate a rescue? Should I rescue a Labrador? It depends. Can your lifestyle meet the demands of owning a Labrador? Can you provide sufficient exercise, affection and meet all the health care requirements? If you work too much, or are never home, a Labrador is not the breed for you. Only rescue a Lab if you are looking for companionship and are ready to commit to the responsibility of owning a dog for many years. Does it cost money to adopt a Labrador? Yes. There is a fee that is likely used to cover Vet bills or help the other dogs in the shelter. How do I adopt a Labrador? You fill out an application. The application is carefully analyzed by the rescue. If you pass, an interview is set up, and you will be asked more questions, and have the opportunity to ask questions yourself. You will also likely be suited to a Labrador based on what you are looking for. You can donate money to a Labrador rescue if you don’t make the decision to adopt. You can also sponsor a Lab and help pay for it’s medical care. Note: Donations given to registered rescues and shelters are tax deductible. Providing a Labrador rescue with your support will make you feel good. These volunteers work tirelessly to help save the lives of these beautiful dogs. They need all of the help they can get, as do the Labs they rescue. Think about it.